I am on holidays so spent a little time changing the look of our blog. I hope Rach likes it. It's nice to have a change every now and then! 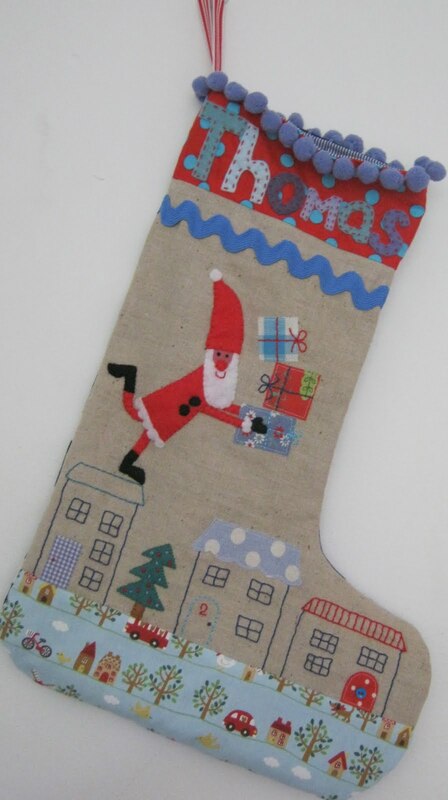 I made this Santa Stocking for a friend's little boy. She is collecting it tomorrow so I hope that she likes it!! Mum and I have also been making some Christmas bunting inspired by some that we saw at the shop Material Obsession. We each made five flags and you can really tell who did which one as we have very different styles. The photo below is a sneak peak of my favourite one that I made. I really like the colours. I will blog the whole thing once I have finished making it up. Hi Sas, Love love love this! Can't wait to see the bunting you and mum did! !